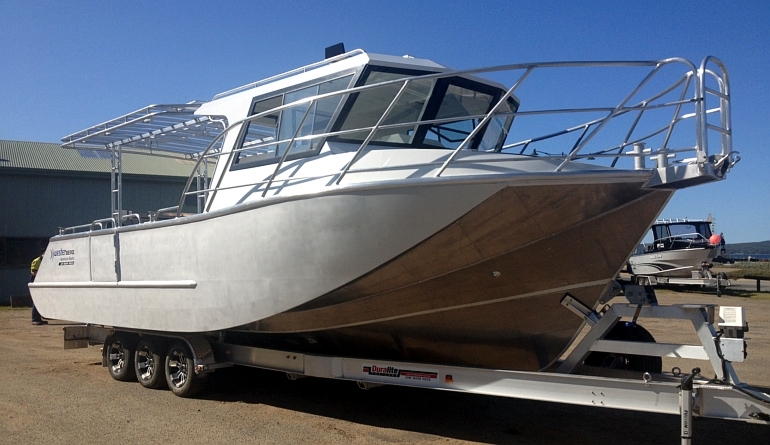 “Black Pearl” is the culmination of many years of experience in professional fishing by the owner Shane Richardson of Darwin, Australia. 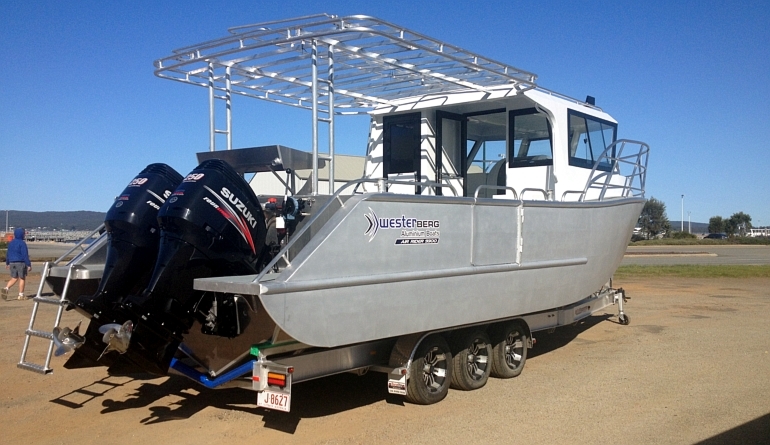 Shane fishes exclusively for Black Jewfish, requiring a specialized boat and special handling requirements to ensure the highest fish product quality. 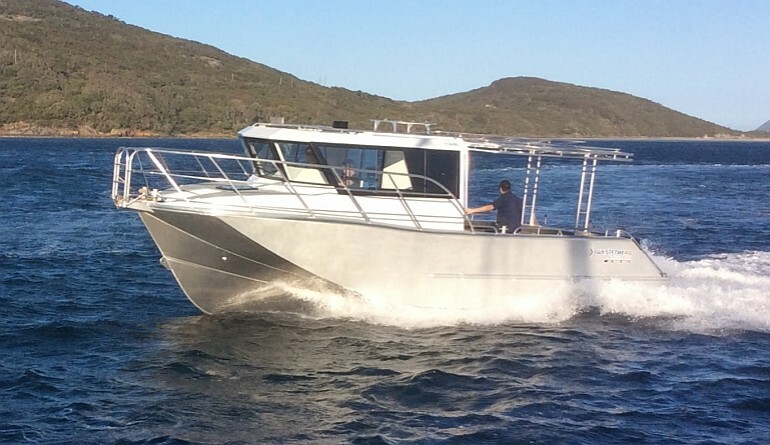 Below decks features a one and a half cubic metre insulated fish hold, large fuel capacity and on board fresh water tankage. 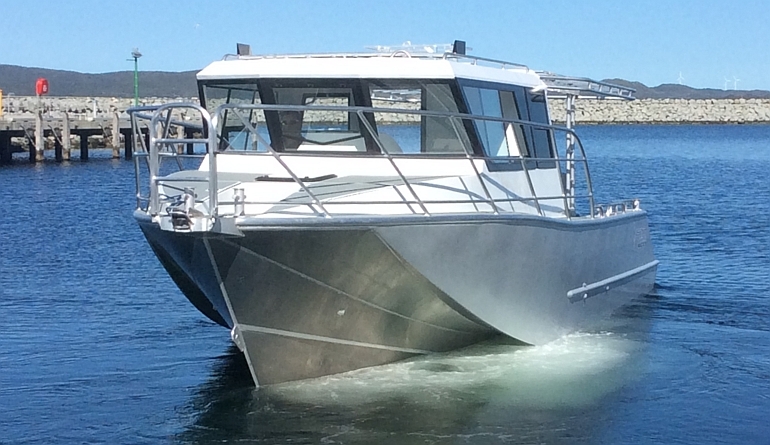 The vessel is set up for days at sea with overnight accommodation, complete with an on deck toilet/shower module. 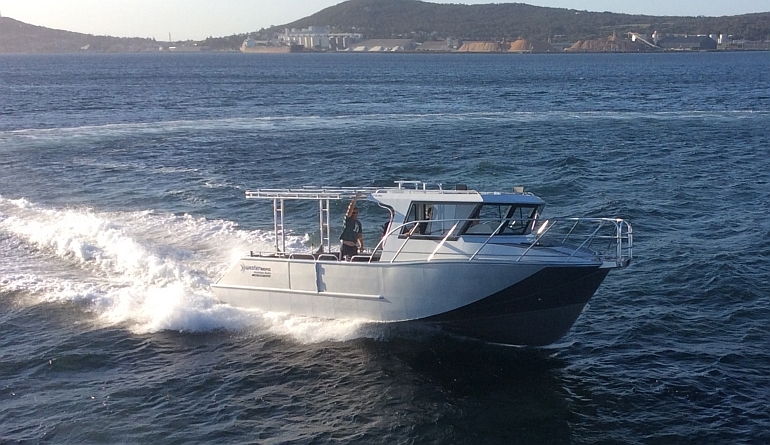 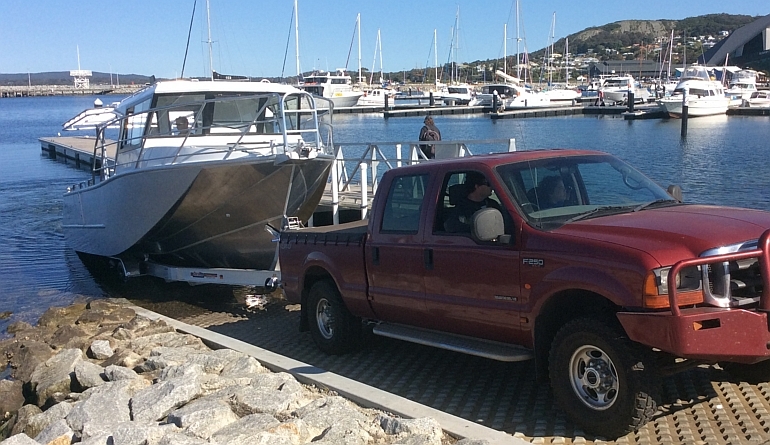 Built by Westerberg Marine in Albany , Western Australia and sea trialed with Rhys Jones, Owner of Westerberg Marine, Shane Richardson and Gavin Mair, this 9.3m Air Rider did exactly what is was expected to do with regard to speed and sea keeping … 38 knots and smooth as with the twin 250 outboards. 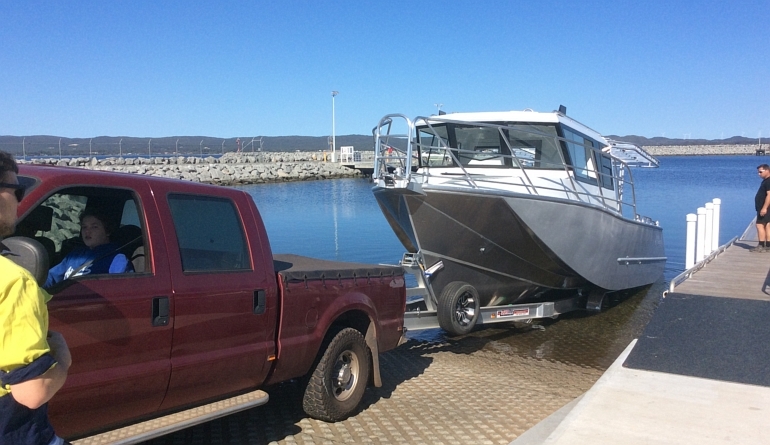 Shane is really racking up the miles in his new boat as some days he travels up to 100nm one way before wetting a line. 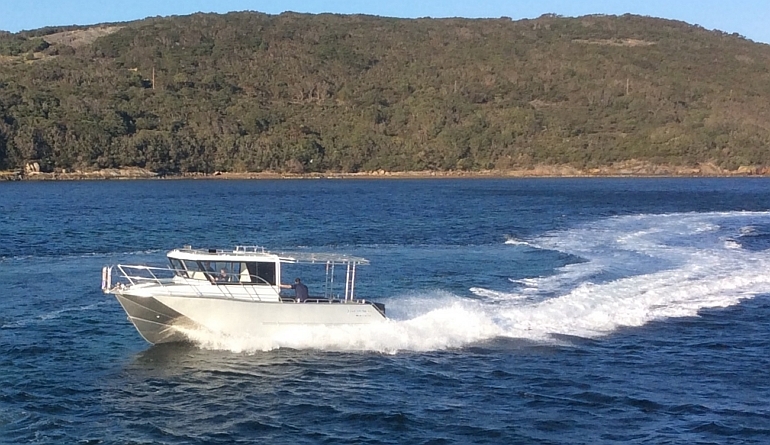 “Black Pearl’ is has shown great load carrying ability, a trait of the Air Rider hull, comfortably coming home at 28 knots with 1.4 tonnes of catch in the full fish hold.